It’s 5 pm and I haven’t a clue what to feed the kids for dinner. When I was Sleeping, some well-meaning person threw out the coupon for ants for the cool ant farm that I got Asher for Hanukkah. You can’t order ants in the middle of winter, so we were waiting until spring. Spring came and no coupon, so I paid $20 for replacement ants. (You can’t just use regular old ants from the ground, of course.) Asher and I, little science geeks that we are, eagerly waited for them. He ran off to check the mail each day. Finally today, the ants arrived, so utterly dead that when I shook the little tube they came in to just see if they were maybe just having a little nap and would wake up, they disintegrated into bits, so now we have a tube of ant heads and legs. Blech. I called the company, who offered to send me more ants, but in the same wee container and using the same postal service, so I see no reason why the next batch will arrive any more alive. 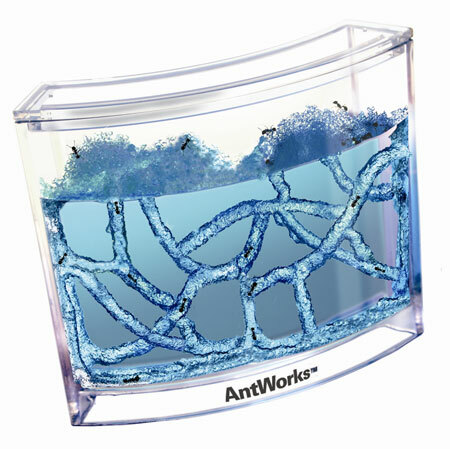 I don’t think we are going to have much luck with this ant farm, unless we can find an alternate source of havester ants. I did a little research on those and it turns out we are actually pretty lucky they aren’t native to Canada, because those suckers bite and their bite is supposed to be worse than a wasp sting. Speaking of bites, something bit Jasper on the tail a while ago. I don’t know what, but he started grabbing his tail and chewing on it, so I took a look and found a couple of bloody little bites. After that, we would stop him from grabbing his tail if we saw him do it, but figured things would heal up quickly enough. Nope. I noticed yesterday that the spot, which of course is covered with fur, was looking kind of odd, so I cut away the fur to discover several scabs. Soaking those off, I found that the two little red spots have now turned into about 6 bigger infected blotches on his tail. It was pretty gross, I have to say. I slathered on the serious prescription antibacterial creme we got for the impetigo the kids got last summer, then covered the area in gauze, taped it on, and then wrapped the whole thing in a tensor bandage. It looks pretty silly. The dopey dog lay there and let me do all that, but when he got up and his tail didn’t curl as he is used to, he was not impressed. He made a couple attempts to get his teeth on the whole thing, but surprisingly gave up after I ordered him to leave it a couple of times. Okay, now it is 6 pm and no dinner has magically appeared. The kids have been grazing (on blueberries and watermelon at least, assuaging my guilt marginally), so they haven’t yet come whining, but I supposed I should go down and find something. Don’t forget to stop by my blog and enter my give away!!! !